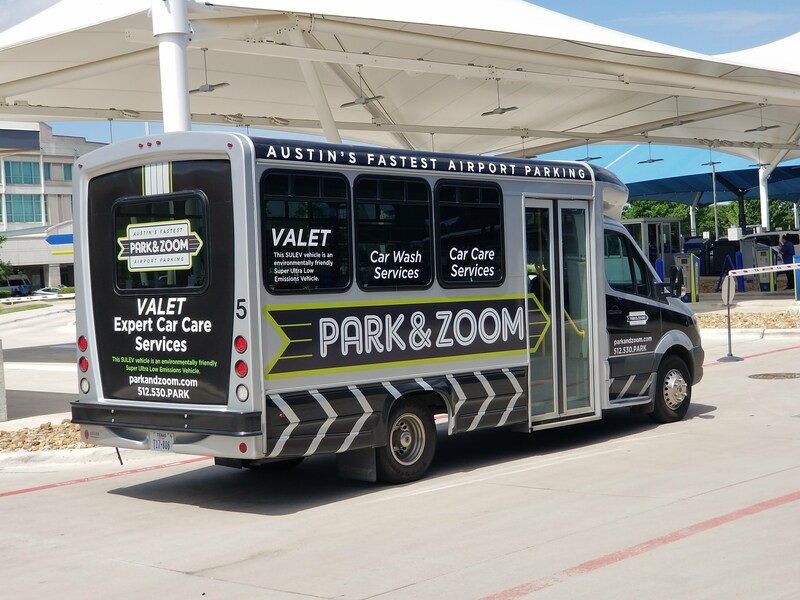 Park&Zoom's On-Airport Parking at ABIA at Competitive Off-Site Parking Rates! For many people, one of the worst parts of traveling involves trying to find parking at the airport that is convenient, reliable and cost effective. You may fear you will never find a parking space close enough to the departures terminal at an affordable price. If you use the Airport’s parking, you are concerned you’ll have to pay big fees just to park your car for a few days. However, you can avoid all these concerns by using Park&Zoom’s convenient on-airport parking options at competitive off-site rates, available right now at Austin Bergstrom International Airport. These parking services are designed with your convenience in mind so you can enjoy your upcoming travels all the more. 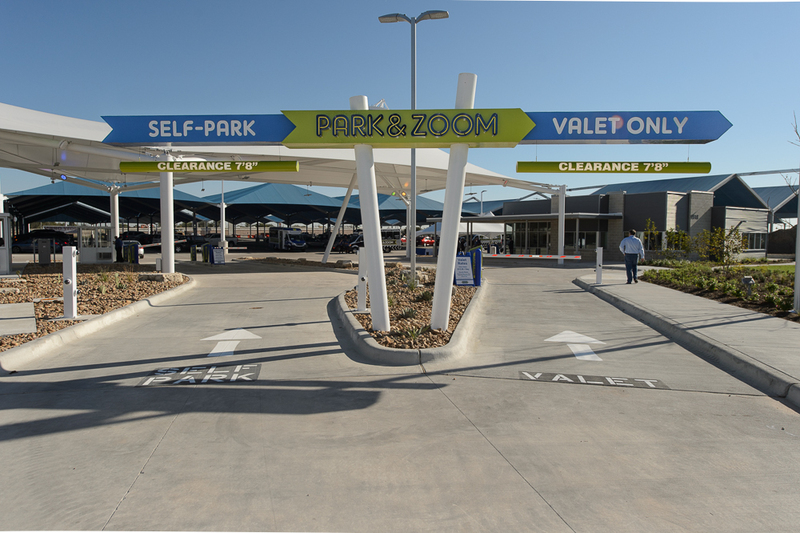 Park&Zoom offers convenient on-airport parking at competitive off-site parking rates. Located on airport property, we provide customers a convenient and affordable way to park their cars without having to walk a great distance to the departures terminal or to pay huge fees that make a dent in their travel budgets. In fact, Park&Zoom actually gets you to the airport faster than its off-site parking competitors because it’s closer to the airport. Just Park and Zoom! Plus, its daily rates are competitive to its off-site competitors. A win-win! If you prefer to park your car yourself, you may choose Parking&Zoom’s covered self-park option at $10.95 a day. When you pull into facility, you will be greeted in person by a friendly parking attendant who will tell you the aisle in which to park that is associated with the day of the week you will return. That way, when you return, you will be dropped off quickly and conveniently at your vehicle. Patk&Zoom attendants will be on hand to assist you with your luggage. You can then take an environmentally friendly shuttle right to the departures terminal for your flight. If you prefer VIP treatment, you can opt for Park&Zoom’s Valet service at $14.95 per day. In addition, Valet customers receive a 10% courtesy discount on all Park&Zoom CarCare services. Plus, if you have an electric vehicle, you also can request that your vehicle is charged for you at one of the several EV charging stations while you are away. Before you board the Valet shuttle van, you can confirm the departure time for your flight on the Valet Department’s flatscreen monitors. Then hop onto the dedicated Valet shuttle van and be whisked to your departure terminal. Reserving your parking space is easy when you download Park&Zoom’s mobile app or visit parkandzoom.com today. You can select the parking option that best fits your travel needs and budget. And remember, you can save money and get information about upcoming specials by joining the ZoomClub. When you join the ZoomClub, you can also take advantage of unique ways to earn free parking. Parking at the airport no longer has to be a hassle. 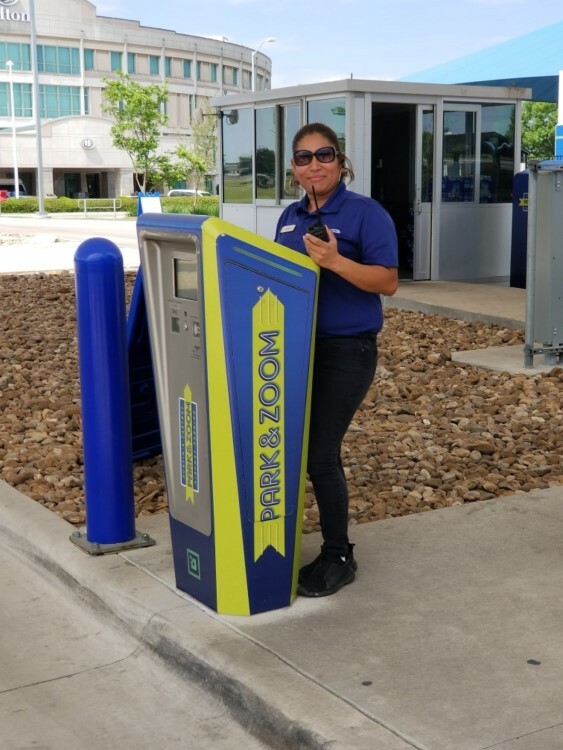 You can use convenient on-airport parking at competitive off-airport parking rates by using Park&Zoom’s mobile app and reserving your parking space online today.